If you were to ask me who the perfect opponent for Kimbo Slice would be I would probably find myself deep in thought. 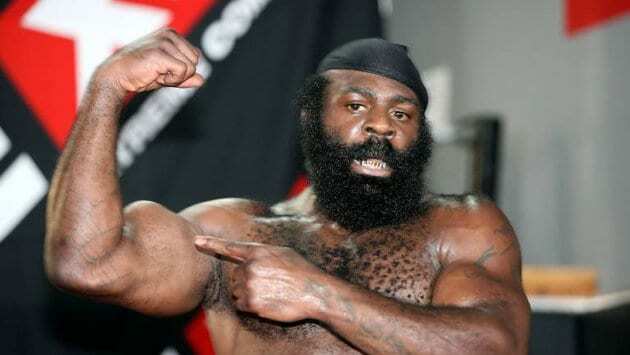 Kimbo Slice might never be considered an elite talent in Boxing or MMA, but Kimbo Slice is without a doubt one of the most interesting characters that MMA ever saw and continues to bring his freakshow legacy to the Boxing ring. That is kind of what makes Kimbo Slice awesome, he has a presence and is a scary looking guy who packs a serious punch. Sure, he’s not he greatest, but so what? So back to the question, if you were to ask me who the perfect opponent for Kimbo Slice is, I think that the only logical conclusion would be Tank Abbott. Since that fight has already happened, the only other name I could come up with would be Butterbean. The best part about this? That fight is going to happen as long as Kimbo’s people have their way.